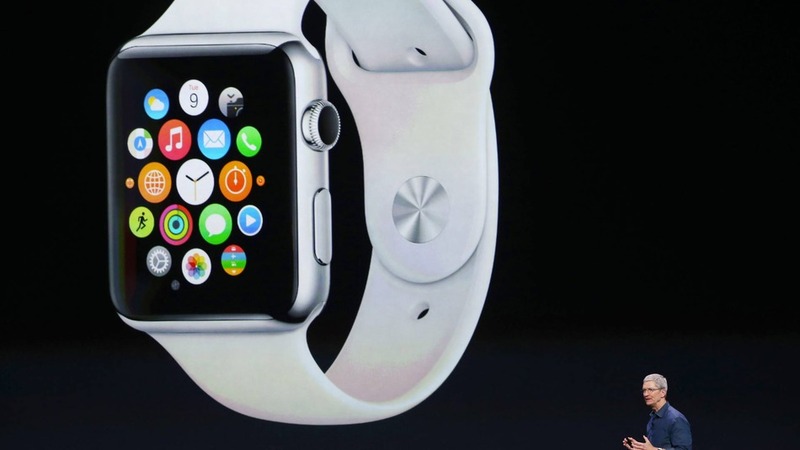 Apple ” iWatch ” launch, Mar 9, 2015. In about 8 hrs from now, Apple will be launching its much awaited ‘iWatch’, a good for wearing, fit to be worn showy gadget combining ‘technology’ and ‘fashion’ in a special manner. This will also be a product that will fully mark CEO, Tim Cook’s concept arising from a change ( after Steve Jobs ) observed and experienced under his own steam. Watch, traditionally a timepiece for carrying in the pocket or the wrist that can mark the passage of time, is transformed in to an ” iWatch ” that can make the user habitually on the alert carefully observing body movements, enabling minute to minute monitoring, and keeping one in a wakeful/watchful state for action. To the obvious now : ” iWatch ” will be in 3 models; (a) Watch ( Aluminium ); (b) Watch Sport (fashionable stainless ); and (c) Watch edition ( luxe Gold ). The watch comes in two sizes – 1. 5″ and 1. 7″. It will be in six different cases/frames with different band/strap styles for each of the three models. It will drain one’s pocket by $ 349 or even more. It can be used in sync with compatible iPhone as the iOS features are fully integrated. CEO, Tim Cook and U2’s Bono demonstrate finger kiss. 1. CEO, Tim Cook’s strategy can be defined in terms of (a) getting new uses of the brand Apple through this product; and (b) getting the existing users to use more of the brand ( those with iPhone 5 and beyond ). It is both a proactive strategy ( first mover with so many special features in a quality eco-system ) and a reactive strategy where 3 or 4 players dominate, actions of one will likely affect others although Apple is resilient to stand as a ” unique ” leader. Samsung Gear Live, LG G Watch R, Sony’s Smartwatch 2, Qualcomm’s Toq, Motorola’s MOTO 360 are others that will be compelled to accelerate their pedals. Of special interest will be Microsoft which is poised to launch its Smartwatch with a two-day battery ( Apple’s ‘iwatch’ is known to be a one-day battery ) also with continuous Heart Rate monitoring as Apple Watch, and which can work on multiple mobile platforms as opposed to Apple’s iPhone compatibility. 2. iWatch is a special attraction to the ‘ fashionable segment ‘ , health conscious consumers like the joggers and exercise minded consumers. It adds depth ( as it can be used in tandem with iPhones ) and breadth ( due to its new uses like Heart rate monitoring, calorie burnt count, setting exercise goals etc ). iPhone sales last quarter are high and so it is not expected to take sales of iWatch away from it. It will make the buyers ‘people of fashion’, showy, and refined in manners. Watch Edition specially is like a fashion jewellery ! 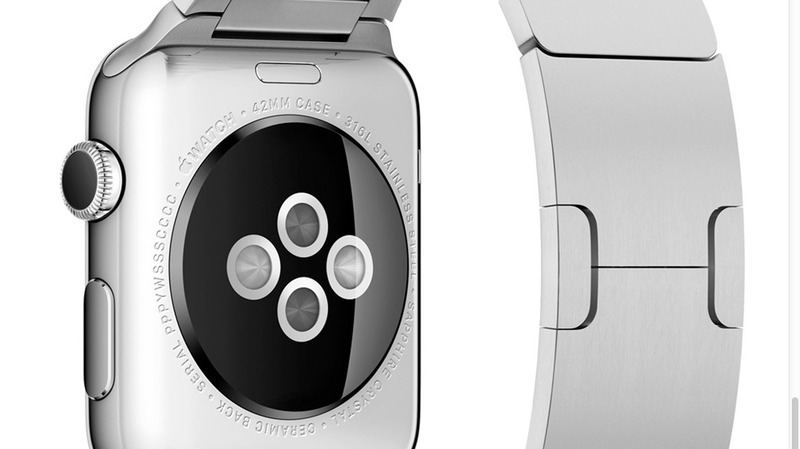 Heart Rate Sensor on the back of ” iWatch “. 3. iWatch is both a standalone product for some uses ( Taptic engine that alerts one of notifications with a simple ‘tap’ similar to a vibration; Measurement of Heart Rate using a custom sensor located at the back of the watch; an accelerometer that can convert steps while calculating calories burned measuring total body activity; a watchkit for for app developers to create 3rd party applications; Animated Emoji, calls and texts; for setting workout goals ); and part of the Apple family of phones for some other uses ( iTunes and Apple TV access; Siri to dictate text or ask questions; Apple pay; Maps as the guide to directions; calls and texts; etc. ). The key strategy of ‘ iWatch ‘ will be tempered by the nature of Apple’s products in combination. A majority of reports portray Apple Inc (AAPL) to become the first $ 1 Trillion Company in less than a couple of years or so and iWatch’s contribution will be a critical factor if the prognostication is to hold true ! CEO, Tim Cook, has just not put in ideas; he has put something more to make it happen and work.